At 26 years old, Jonny Imerman was diagnosed with testicular cancer and began his fight against the disease. Throughout his experience, Jonny was lucky enough to have loving support from his family and friends, but he had never met anyone his age who was a cancer survivor. Jonny wanted to talk to someone just like him, someone who truly understood and could relate first-hand with his experience. In short, he was looking for someone who had already survived the same type of cancer. This was the beginning of Jonny’s vision. That vision became a reality when he founded Imerman Angels. 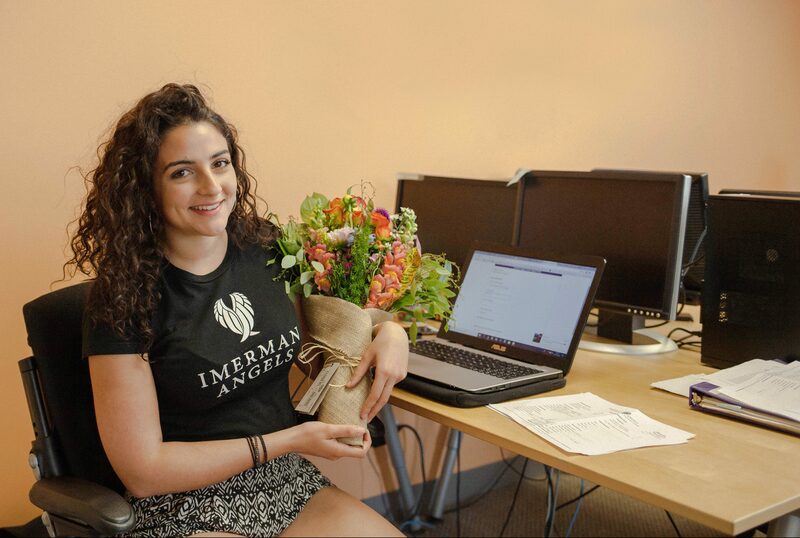 Since 2006, Imerman Angels has become the largest one-on-one cancer support network, connecting thousands of people in all 50 states and across the globe. Imerman Angels serves anyone touched by any type of cancer, at any stage, at any age, living anywhere in the world. 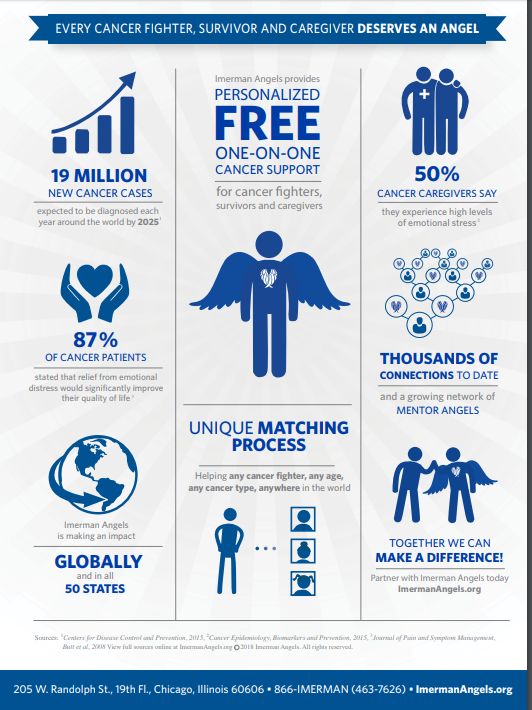 Through their unique matching process, individuals seeking cancer support are paired with a “Mentor Angel”. While each cancer experience and life situation is unique, a Mentor Angel is a cancer survivor or caregiver who is as similar as possible in a variety of criteria including age, gender, and most importantly cancer experience. These one-on-one relationships give cancer fighters, survivors, and caregivers the chance to ask personal questions and get support from someone who has been there before. Mentor Angels can lend support and empathy while helping mentees navigate the system, determine their options, and create their own support systems. Frequently, caregivers experience feelings similar to those of the person facing cancer. Imerman Angels connects those caring for or grieving the loss of a loved one with a Caregiver Mentor Angel who can help provide support and comfort throughout the experience. To request support or to become a Mentor Angel, visit www.imermanangels.org or call 866-IMERMAN.